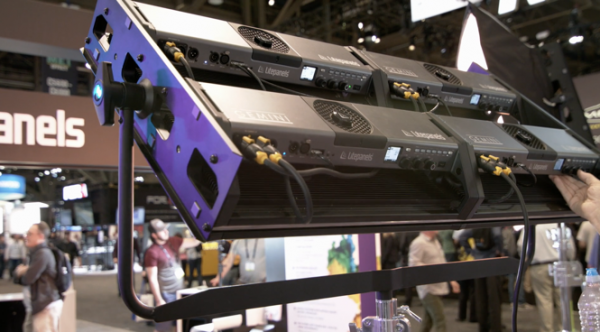 Litepanels has new firmware for their Gemini, as well as battery plates so the light can be remotely powered. We reviewed the Gemini earlier this year and were impressed by the build quality, high output and quality of the light it produced. The Gemini is a 2×1, RGB-WW soft panel that combines daylight, tungsten, and red-green-blue LEDs. This new firmware update allows for quite a few new features. The main two are, effects more and you now have RGB control over the light. There are eleven effects that allow you to create the look of things like a fireplace, lighting and fireworks. The firmware update is available now on their website. 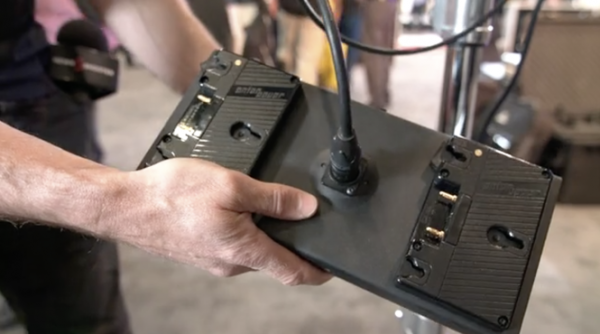 Gemini also announced that they will have a battery bracket coming for their lights soon. It will be available in V-Mount and Gold Mount. A nice feature is that they will power the lights at 100%. So Gemini say that two 150w batteries should give you at least an hour on the lights. Gemini is also going to release two types of frame/bracket that will allow you to stack the lights together. They will come in a dual and quad version. You can daisy-chain the power and use one of the lights as a control for the whole bank.